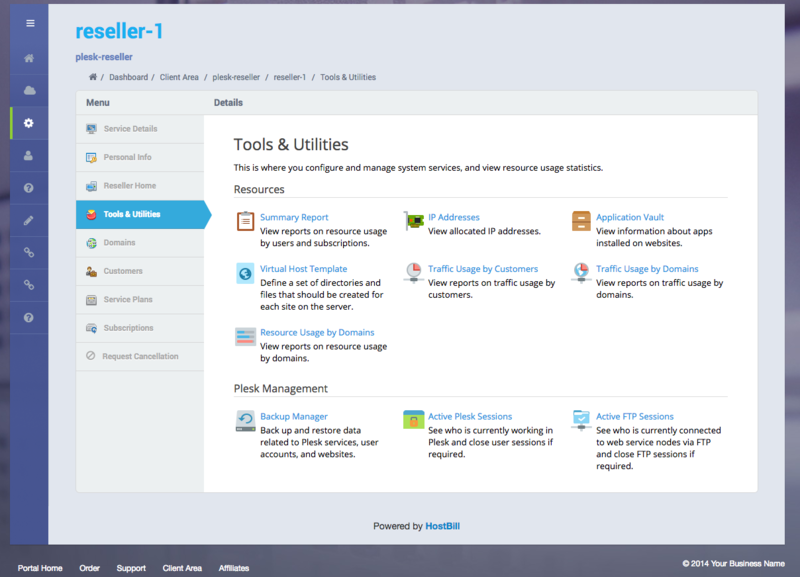 Plesk is a multi-functional and multi-level control panel with a wide range a features to easily manage all aspects of a hosting business. With Plesk module for HostBill you can build a complete hosting platform and give your customers the opportunity to manage all aspects of Plesk hosting directly from a single pane of glass billing interface, without the need to login separately. 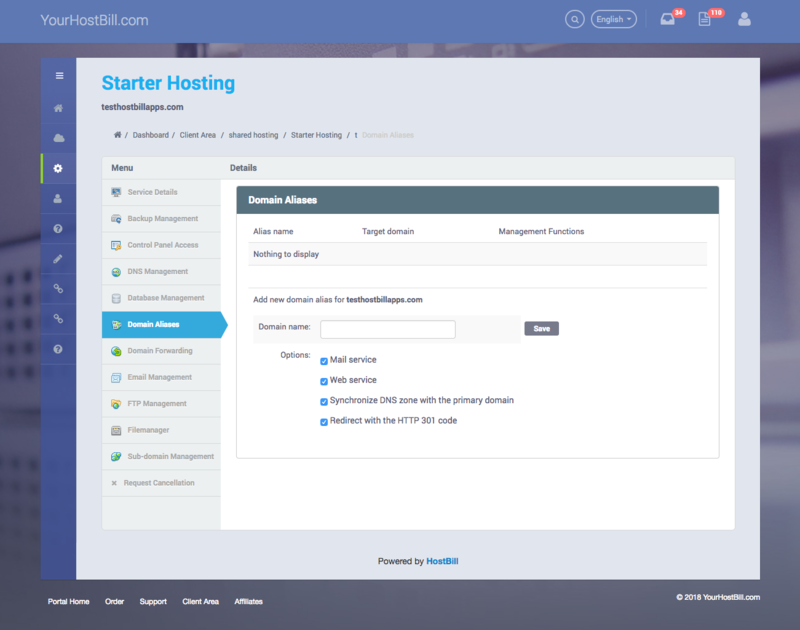 HostBill integration provides plenty of functionalities that allow your clients to manage their Plesk-based email, domains, cron jobs, backups, SSL Certificates, DNS Records and more. 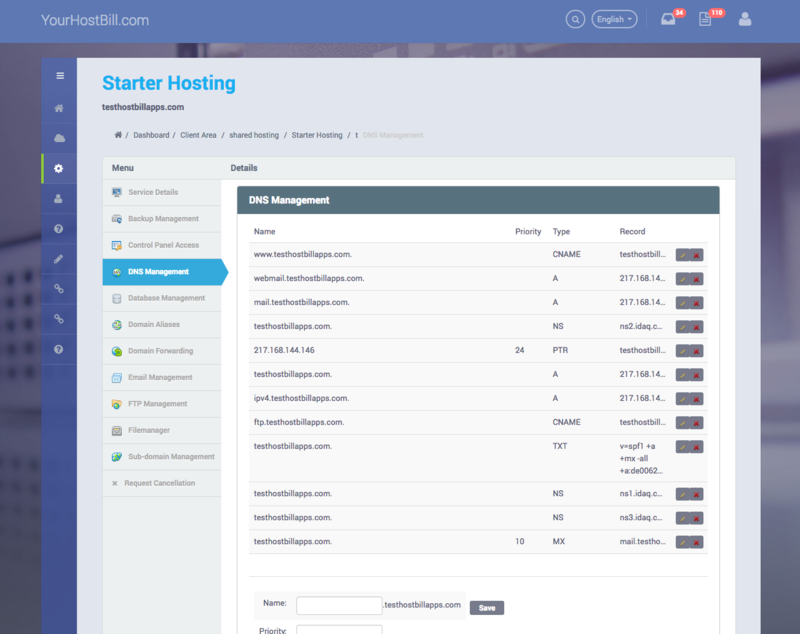 What is more, with the Plesk module for HostBill your clients can easily add/remove FTP accounts, domain forwarding rules, subdomains and domain aliases directly from the billing portal. 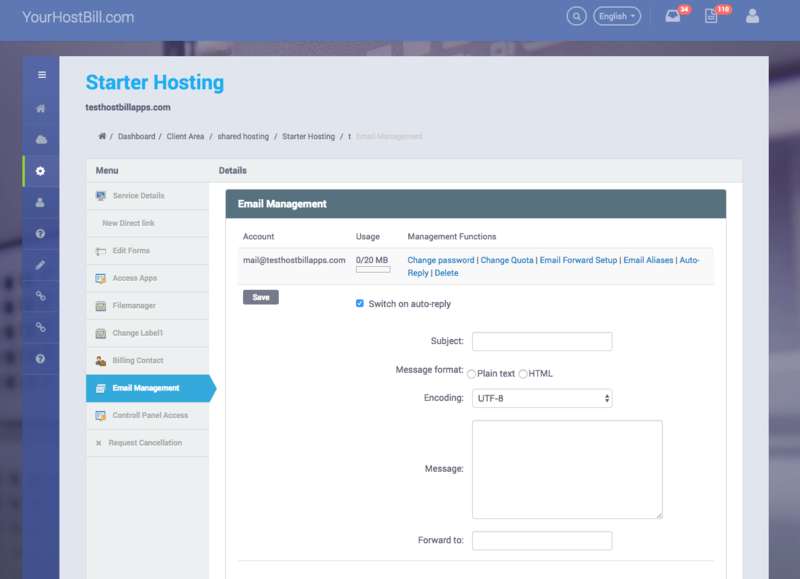 Variety of email management options include adding/removing mailboxes, tracking mailbox quota/usage, changing password and quota. 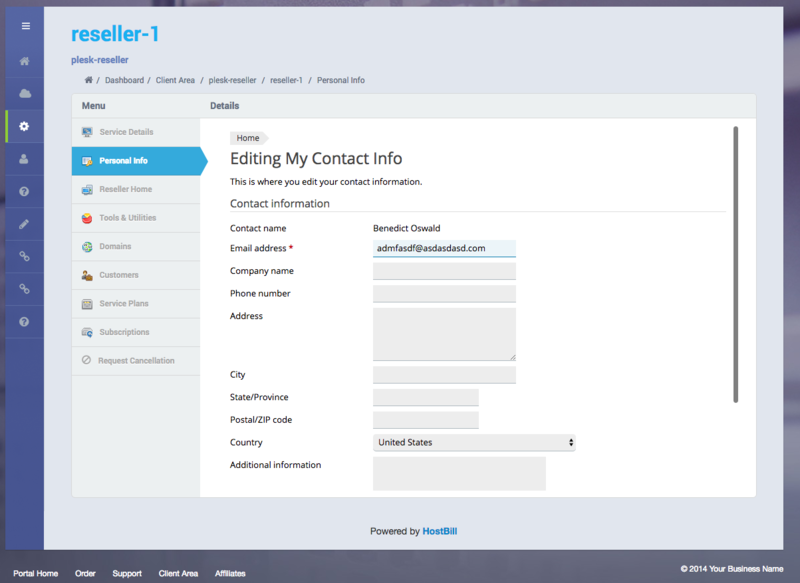 The module also allows to list DNS record associated with the account and remove/edit/add DNS records. 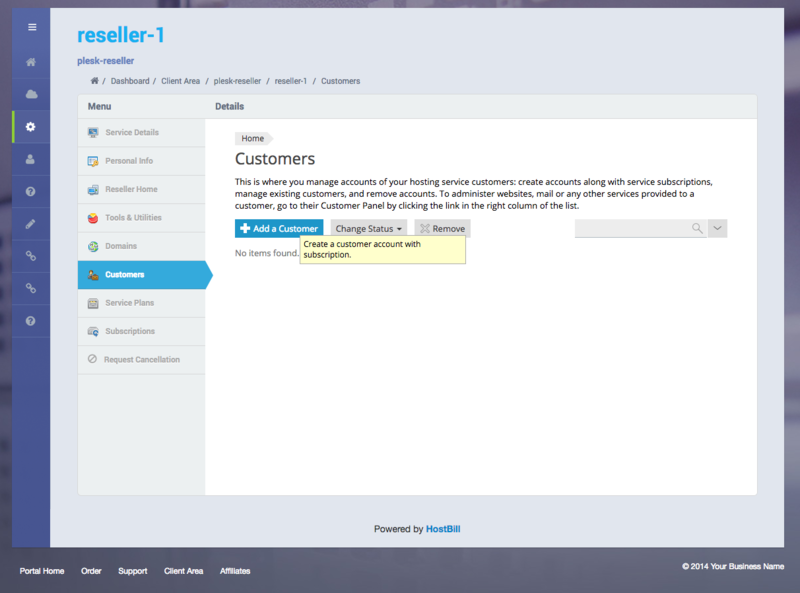 Simply put, with this module your clients can conveniently optimize the management of their accounts. 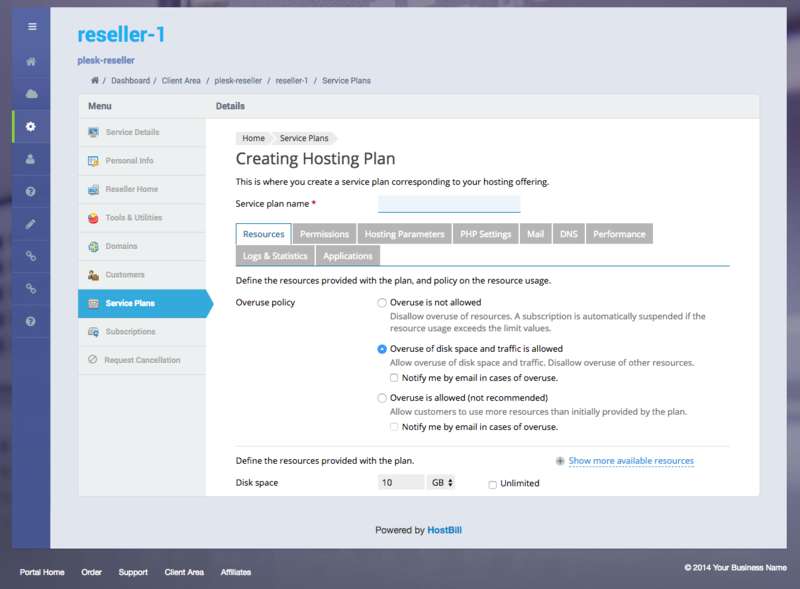 2018-12-20 - Fixed: Fixed problem with DNS records removing. 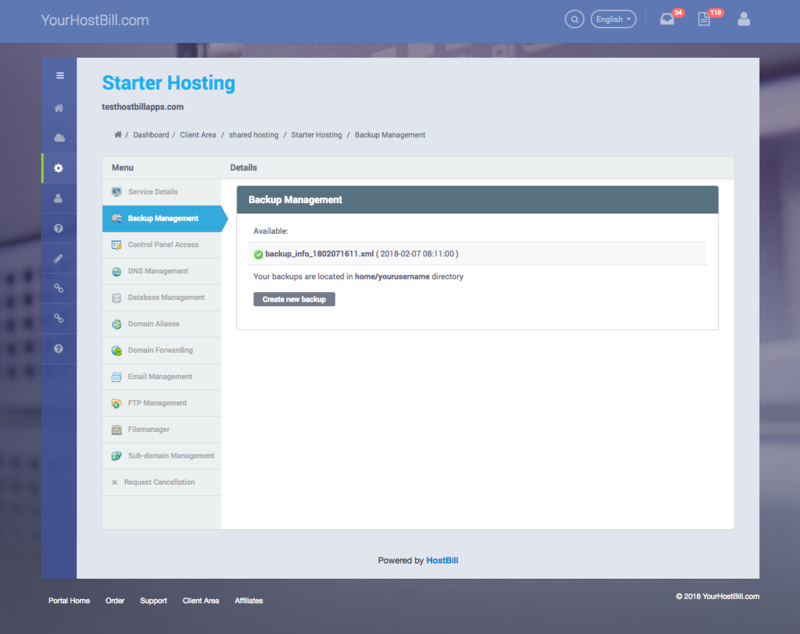 2018-08-27 - Added: Now it is possible to login to the Plesk directly from the account details page in the admin area. 2018-08-10 - Added: Now it is possible to log in to the Plesk panel directly from the clientarea. 2016-12-09 - Fixed: Provisioning task fails in plesk (onyx) with error about missing country.